Kourtney Kardashian is an American model and TV personality, who is mostly known for her appearance in Keeping Up with the Kardashians, and its spin offs. With Khloe and Kim as her sisters, Kourt (her nickname) is involved in the fashion and retail industries as well. Along with her sisters, she has launched a number of fragrances and clothing collections, including Smooch and Dash Boutique. In addition to these, she has also launched a book, named Kardashian Konfidential, in 2010. 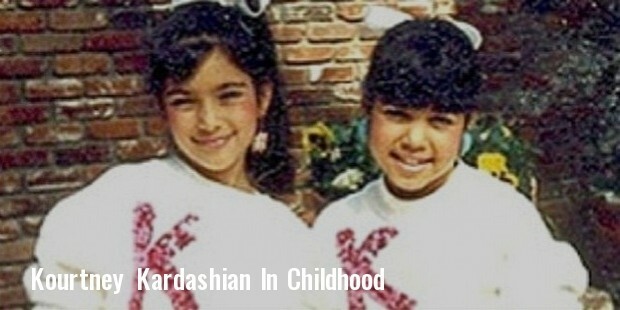 Kris and Robert are Kourtney’s parents, Khloe and Kim are her sisters, and Rob is her younger brother. Her parents separated in 1991, after which her mother married Bruce Jenner. She was educated in a Roman Catholic girls school, and moved to Dallas after graduation, and then to Tucson to join the University of Arizona. Kourtney made her debut into the reality TV on Filthy Rich: Cattle Drive in 2004, where she received charity money. Later in 2007, she starred in Keeping Up With the Kardashians, along with her mother, stepfather, brother, sisters, and half-sisters. After the success of this series, a number of spin-offs were also devised, including Kourtney and Khloé Take Miami, Kourtney and Kim Take New York, and Khloé & Lamar. In 2010, Kourtney released an apparel line for Bebe along with her sisters, started working on K-Dash, another line of clothing sold over QVC, and also created Kardashian Glamour Tan, a sunless tanner. In 2011, she made a guest appearance in One Life to Live, but her performance received negative reviews from the critics. Kourt, along with her sisters, is also a spokesperson for Quick Trim, a diet supplement for weight loss. The three sisters also represent PerfectSkin, a skincare line developed by Dr. Ron DiSalvo. In 2010, Kourtney and her sisters were awarded with a Teen Choice Award, for Choice TV: Female Reality/Variety Star for the show Keeping Up with the Kardashians. Kourt has been nicknamed as ‘The Unassuming Firecracker’, as she remains quiet for a long time, and suddenly bursts out to create a frenzy. 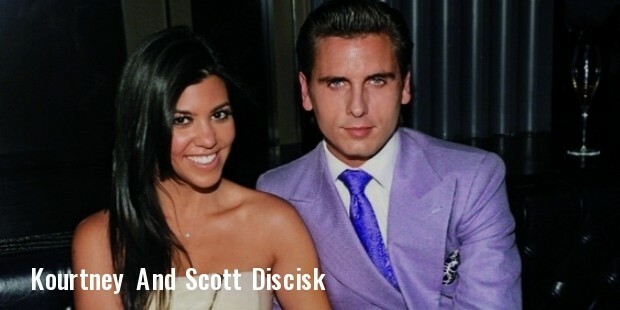 Kourtney met Scott Discisk in 2006, after which they started dating, and gave birth to two sons and a daughter. The birth of their first son, Mason, was aired in Keeping Up with the Kardashians during its 4th season. After so many on and offs in their relationship, they finally separated in July 2015. Kardashian Konfidential, an autobiography, was written by Kourtney and her sisters, and was published in November 2010. Kourtney Kardashian is a popular TV personality, as well as a successful businesswoman. People want to know about her life, and that is why her reality TV shows and autobiography are such huge hits.